The group included federal and provincial ministers including Catherine McKenna, Minister of Environment and Climate Change, John Rustad, B.C. Minister of Aboriginal Relations and Reconciliation, Mary Polak, B.C. Minister of Environment, along with Mayor John Helin of the Lax Kw'alaams Band and Harold Leighton, Chief Councillor of the Metlakatla First Nation. "The idea to create this committee is based on input received from Indigenous peoples throughout the environmental assessment process to ensure protection of the environment through ongoing project monitoring and oversight," said McKenna. "The committee encourages ongoing dialogue and collaboration with Indigenous peoples, which is at the core of our government's reconciliation commitment." The Government of Canada is committed to a renewed nation-to-nation relationship with Indigenous peoples based on recognition, rights, respect, co-operation, and partnership. Through this historic agreement, First Nations will work directly with provincial and federal authorities as part of a committee to ensure the Pacific NorthWest LNG Project is developed in the most environmentally sustainable way possible. "We have always maintained the view that the environment is most important to us and with this agreement in place, it will help protect the fish, waters and lands in our traditional territory. Any development can only take place if the necessary environmental protections are in place and this is an important step in that direction," said Helin. The committee will enable enhanced environmental oversight of the Pacific NorthWest LNG Project and the active engagement of local First Nations. It will foster information-sharing and continuous environmental monitoring and oversight. 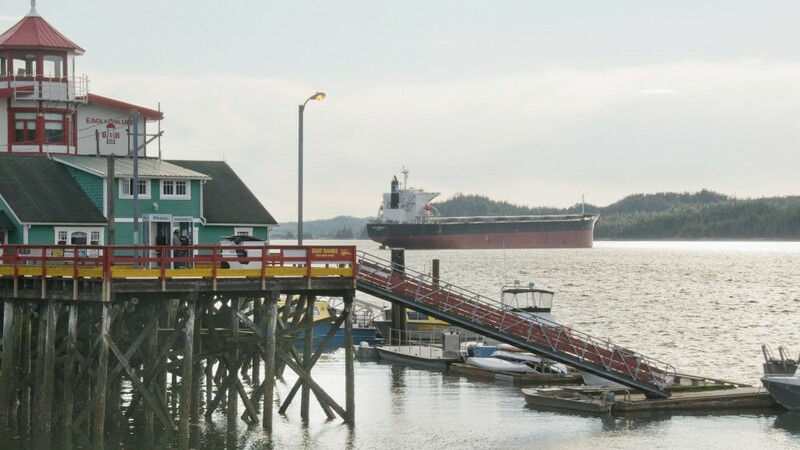 It will also enable the Lax Kw'alaams Band and Metlakatla First Nation to provide input into the project's environmental management plans and follow-up programs. The committee is the product of input and feedback from Indigenous peoples regarding their desire to play an active role in monitoring the project on an ongoing basis. It is an example of the successful application of the Interim Approach and Principles for environmental assessments, which include a commitment to restoring robust oversight and meaningful consultations and engagement with Indigenous peoples. "This agreement represents a stronger, collaborative way to safeguard the environment. Through this agreement, and working directly with the First Nations, we have put in place a management structure that will ensure the Pacific NorthWest LNG Project meets the highest possible environmental standards and adheres to both provincial and federal regulatory requirements," said Rustad. This cooperative agreement sets out the principles, structure, and roles and responsibilities of an Environmental Monitoring Committee for the Pacific NorthWest LNG Project, in British Columbia. The Pacific NorthWest LNG Project received federal environmental assessment approval in September 2016, subject to over 190 legally-binding conditions to be fulfilled by the proponent throughout the life of the project. The Canadian Environmental Assessment Agency and BC Environmental Assessment Office remain responsible for ensuring ongoing compliance with their respective legally-binding conditions for the project.